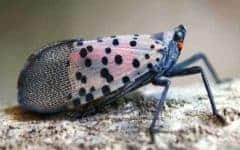 The SPOTTED LANTERN FLY was first found in southern Berks County in 2014. 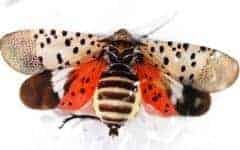 This invasive pest from Asia has moved into several surrounding counties and is active thru out most of our service area. 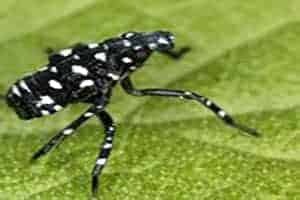 The nymph stage of this pest can be very damaging to ornamental landscapes as well as orchards and vineyards. This is a “sucking insect” which feeds on sap running thru vascular systems of plants. This activity weakens plants leaving them more vulnerable to other stress factors. 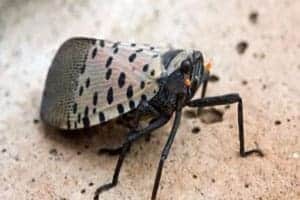 This new pest is becoming an issue for many area home owners. The feeding activity of the nymphs leaves behind a sticky residue which attracts bees and other insects. 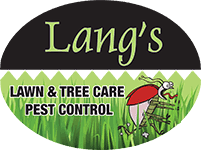 The residue also promotes the growth of black sooty mold which can cover patios, cars, anything under infested trees. The sheer numbers of adults can be quite unsightly covering walls, decks, play areas, etc. 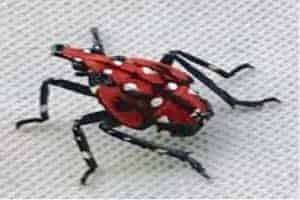 in a fashion similar to Stink Bugs. Fortunately early control attempts have proven to be successful. 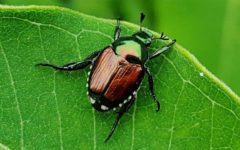 We are currently offering a two-pronged approach to controlling this pest. 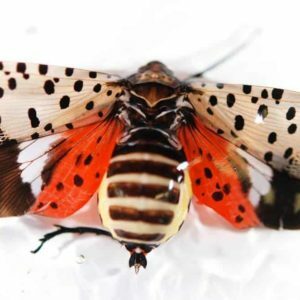 SPOTTED LANTERNFLY PROGRAM: Soil Drench Systemic – applied to root zones of mature trees. Foliar Treatment – applied to foliage/trunks of preferred plants. Active Adult Treatment – applied to house walls, tree trunks – anyplace adults are congregating Simply call or email us for a free initial assessment and estimate!